Some people snore occasionally, but may not even realize it. Others may do so constantly, but don’t consider it a problem worth addressing. In any case, persistent snoring can have several different effects on your overall health and quality of life, not to mention the quality of your partner’s sleep each night. For some patients, it can pose a direct threat to their wellbeing, especially if it indicates obstructive sleep apnea (OSA). The good news is that your dentist can often help you address snoring and sleep apnea with a custom, non-invasive oral appliance that fits comfortably in your mouth as you sleep. Is It Snoring or OSA? Snoring and OSA are both caused by an obstruction of oral and throat tissues in your airway. As you sleep, oversized or over-relaxed tissues can collapse into your airway, creating a partial blockage that increases the air pressure passing through. The increased pressure vibrates your throat and oral tissues, causing the sound of snoring. In cases of sleep apnea, the obstruction will eventually completely block your airway and cause you stop breathing for several moments, until your body is forced awake just enough to clear the obstruction. Patients with OSA can experience this disruption hundreds of times in a single night, depriving them of the deep, R.E.M. levels of sleep that they need to properly rest and recuperate. 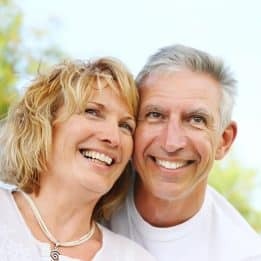 If your partner complains of your snoring most nights, or if you feel exhausted and sleep deprived even though you believe you’re sleeping soundly throughout the night, then schedule a consultation with one of our experts by calling the My Dentist office in Londonderry, NH, today at (603) 965-3407. © 2019 My Dentist. All rights reserved.